I had no plans for a part 3, but in part 2 of this series, I mentioned how I messed up the wiring several times when I was assembling the module. Instead of fixing it at the time, I started from scratch since I had extra parts. Well, I made some time to disassemble the non-working module and build a new one. I quickly set up a prototype on a breadboard to make sure I didn’t make the same mistakes and then I soldered it all together on a permanent board. Was smooth sailing, even with squeezing everything in as much as I could. 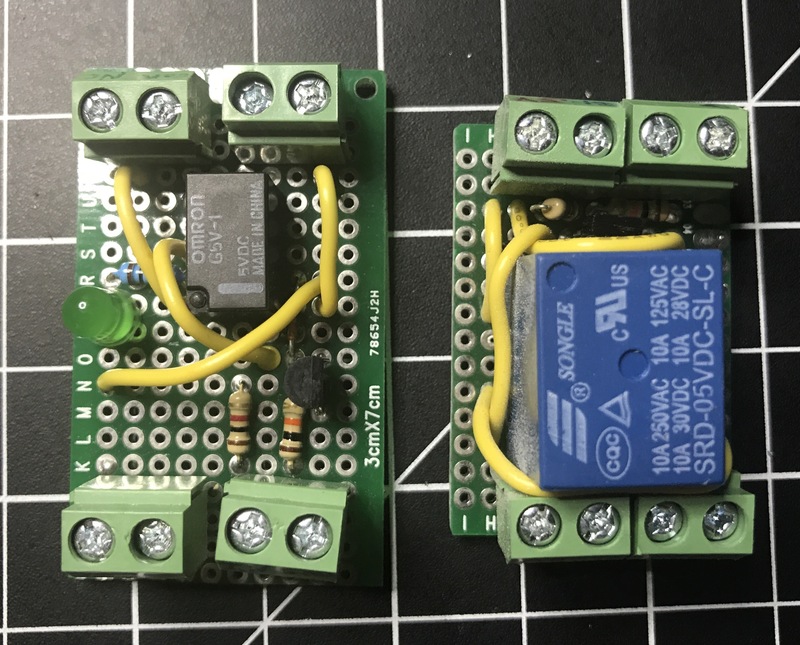 Now I have a two different spare relay modules, depending on power requirements, when I need one for a project.